Amy signs with JAB Management! I’m very excited to announce that I have signed with Andrew Mills at JAB Management. They’re a great boutique agency representing a range of Writers, Directors and Filmmakers for Film and TV and I’m very much looking forward to working with them to develop my career. 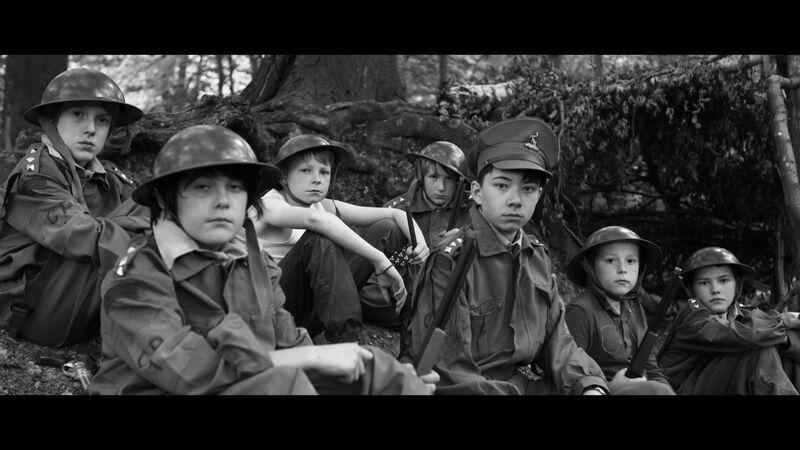 ‘Boy Soldiers’ is selected for the Imperial War Museum film festival! My award winning short film ‘Boy Soldiers’ has been selected to screen at the Imperial War Museum Film Festival this autumn. It will screen 5 times at IWM London from Oct 30th to Nov 8th before heading to IWM North later in the year. The film was workshopped, written and produced with the cast aged 10 – 14yrs at PQA Aylesbury in just a few days and has since gone on to film festival screenings, nominations and awards including winning Best Film at the 2013 Limelight Film Awards. It follows the story of a young teenage boy who is transported back to the trenches of Passchendaele in 1917 to discover what life as a Boy Soldier was really like. A poignant and moving film which, whilst not technically perfect, features strong performances from the cast and has resonated with audiences across the country. It is fitting that it has been picked up to screen at IWM in this 100th year since the outbreak of WW1. And we are GO! #thetreehousefilm @Kickstarter campaign is off to a flyer! Very excited that the Kickstarter campaign for my next short film project ‘The Treehouse’ went live yesterday and within 12 hours was nearly at 50% of the target! We still have a way to go to reach the target and every pound that is pledged will help us to make the film better and better. From more money for the art dept and set build, better locations and more flexibility with how we light and shoot the film to more time with our brilliant VFX mentor and post production partners. We would really appreciate your support, regardless of how big or small!